Alexander Korda's 1936 film of H.G. Wells's Things to Come predicted the nightmare of aerial bombing against London. Even as the storm clouds gathered, the government was woefully slow in protecting its civilian population. Some problems, such as the risk of a catastrophic flooding of the Underground network, were anticipated. But the enduring image of the Blitz is the spontaneous and community driven adoption of the Underground stations as a safe refuge from the raids. As Londoners settled into their new subterranean routine the government ordered the construction of purpose-built deep shelters and most of these still exist. London Underground at War examines the impact of the war on the running of the Tube and the plans to protect the system. 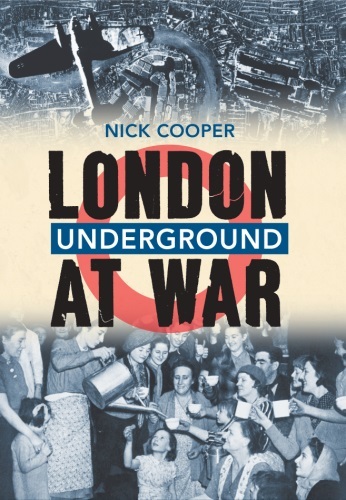 It asks what life was like for those who sought safety underground, and pays tribute to the many London Transport staff, "shelterers," and other members of the public who lost their lives on Underground premises during the War.